This striped shirt has stripes in varying shades of gray and white. It does up with buttons. It has a barely visible left breast pocket. 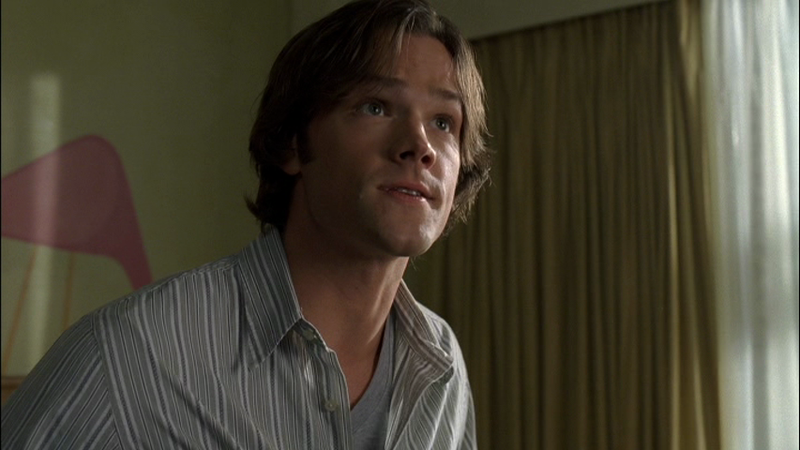 In Mystery Spot (3x11), Sam wears this shirt on both Wednesdays. On the first Wednesday he puts it on while he is still sitting in bed, on the second Wednesday, he remains in a T-shirt until after he’s talked with Dean. 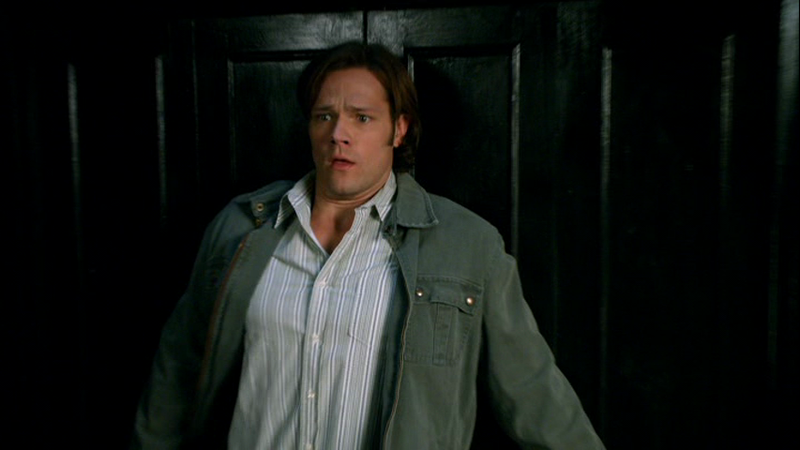 In Changing Channels (5x08), Sam is wearing it when he is startled by the ghost during the opening theme song.